Once upon a time, there was a lovely little house set on a lovely little lot amid a lovely little garden. The owner worked hard to acquire the land, carefully plan the layout of the house and garden, and paid painstaking attention to detail during the building process. When the house was complete, all the other houses paled in comparison. For a long time, the owner put a great deal of effort into this lovely little house, increasing its value all the while. 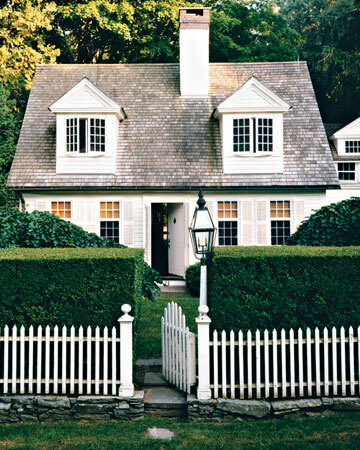 After many years of the bliss that comes from careful attention to detail, the owner of this lovely little house began to spend less and less time nurturing his once-beloved asset. The owner began to focus his attention on other, newer acquisitions (of which there were many) that he felt would provide him greater satisfaction. These newer houses were bigger and had all the newest features. Naturally, they were more deserving of his attention, he told himself. Sadly, as the owner continued in his pattern of neglect, the lovely little house set on the lovely little lot amid the lovely little garden began to show the signs of being ignored. Eventually, the owner’s disregard prompted others to take an interest in the once-lovely little house set on the once-lovely little lot amid the once-lovely little garden. These others remembered just how lovely this asset used to be and began to work to acquire it for themselves. One day, one of these others came along and acquired the once-lovely little house set upon the once-lovely little lot amid the once-lovely little garden (for much less than the first owner invested) and began to nurture it back to its former glory, adding personal touches along the way. He truly valued this asset as well as all the others he had acquired, treating them all with equal care. As a result of this care, the new owner never lost an asset he did not choose to give up. Not so for the previous owner. He spent everything he had trying to acquire new houses to make up for the ones he kept losing because they fell into his cycle of neglect. Sadly, contrary to what a wiser person would have done, he never longed for the lovely little house set on the lovely little lot amid the lovely little garden that had brought him so much pleasure and satisfaction in the beginning. Sadly, he never saw the value in his current possessions; therefore, he never maintained them. In the end, he lost them all.